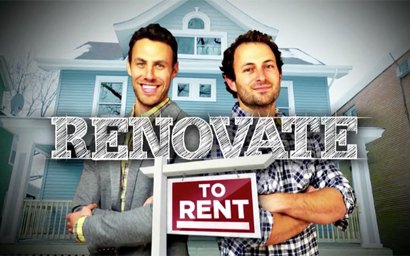 Every once in a while, a new home improvement product comes along that puts a smile on your face. The GreenFan fan controller is one of those products. Arizona summers can be brutal, with temperatures soaring to 118 degrees between the months of June and August. This means air conditioning units are working overtime to keep homes cool. According to the U.S. Energy Information Administration, a quarter of the energy consumed in Arizona homes is for air conditioning, which is more than four times the national average. 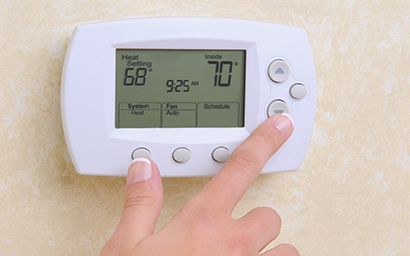 This means, homeowners pay more for their utility bills in the hot summer months. 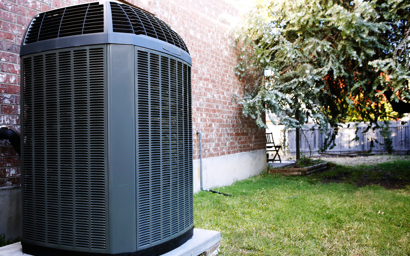 Buying a new and more efficient air conditioning unit can dramatically reduce utility bills; however, a new unit installation can cost thousands of dollars—and most homeowners don’t consider this an option unless their unit fails and cannot be repaired. The GreenFan integrates with all air conditioning systems—to make them work smarter and more efficiently. 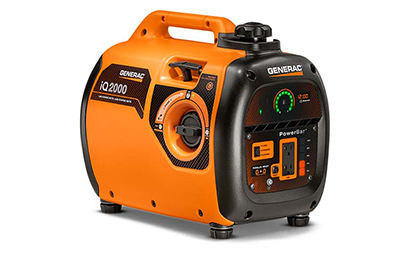 The manufacturer of this product claims that energy efficiency ratio data of air conditioning systems showed an improvement of between 8% and 35% for short A/C cycles when used with the GreenFan. The testing was independently performed by Intertek laboratories in Texas. 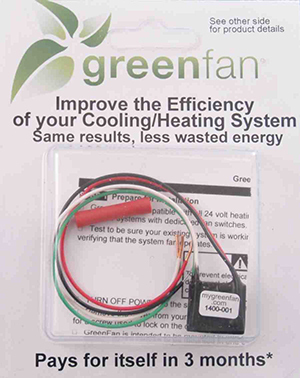 The GreenFan is described as a microcomputer that monitors how long a homeowner’s air conditioning compressor operates and estimates how much additional cool air can be extracted from the system. This cool air is held in the middle of the evaporator coil—it’s held in the duct work and in the moisture that has condensed in the evaporator coil. The GreenFan’s primary function is to run the indoor fan for an amount of time that corresponds to the run time of the compressor. GreenFan limits the maximum amount of time the fan can be extended. We received a product sample from GreenFan, Inc. and decided to put the device to the test. How did it perform? The installation was done on a Valley home and performed by experts Quality Systems A/C & Refrigeration of Scottsdale, Ariz. Overall, there’s a noticeable difference in energy consumption with the GreenFan installed. With a retail price of $80 and a fairly easy installation, this product does exactly what it advertises—reduces your energy consumption and saves money on your utility bill. Your efficiency rating may vary, obviously—and will depend on your air conditioning unit and operational status.